You must also download Aali's Custom graphics driver [v0.8.1b] from this page. Put ff7_opengl-0.8.1b.zip and Install_Aali-s_opengl_driver_0.8.1b.exe into the same Place and run the Installer. The graphics driver within the Windows installations DVD does not support OpenGL 2.0 or higher! This installer installs the Custom Driver for both FF7 (1998) as well as FF8 (2000). The Custom Driver is not suitable for the newer versions (Rerelease or Steamrelease) of this games. If you have a newer version of FF7, this can be converted using a converter into the old version. This installer installs also "FF7Config.exe" together with "RunFFVIIConfig.exe" (for FF7 only). The latter ensures that the Custom Driver is again entered into the Registry after FF7Config was executed. You do not have permission to redistribute the driver in this manner. I'm not going to ask you to take it down but you really should have asked first. I get a lot of PMs and I hardly ever answer because most of them are utter crap. Yours was quite rude and not anywhere close to asking for permission. How about making the installer to use an external package? It would be better this way, because the installer would work with any newer version without the need of updating the program. That would be a great solution, if the installer just prompted for the zip file when you launch it I would have no problem with that. Linking to the release thread from the program is also acceptable, direct linking to the download is not. This is why you read pms to avoid these issues its you fault for not addressing this early. You are also being rude for ignoring the pm then throwing a fit about him posting the link. I agree this was wrong to do but you also share the blame. I will also once again add that the driver needs a readme and known issues page (not having one is causing all kinds of issues). I have offered twice to make one, but been ignored. And now I am a lot busier. Aali, you may want to consider including a license file with future revisions of your driver, even a simple one that says nothing more than "NOT FOR DISTRIBUTION WITHOUT PERMISSION". Kompass63, the sooner you can get that updated version that uses an external package, the better. I now have as demanded the Custom Driver removed. The installer is tuned to the Custom Driver 0.8.1b and will not work with other versions. Has anybody written a guide about how to install Aali's custom graphics driver for folks who have the Steam version? And don't ask about achievements support. It's not possible due to DotEmu's own hack, which is needed for them. Has there been update about removing the error notices? It's great to see them during testing but otherwise they're very distracting, particularly if there's more than one, they can fill up almost half the screen. I'd say this feature from the previous version with bootleg is basically essential. Anyone have an idea of how to disable this with the new driver? There's a way to remove the glitch notices in the config file. Someone post on another thread the code to add to hide them. I just can't remember who and where. That is no longer part of Aali's driver. I've dumped all the files that were in the Aali download .zip V0.8.1b into my game directory but when I run the game I get an error message saying Aali's driver is not compatible with my version of FFVIII due to ... it then lists about 10 possible reasons the only ones that made sense were either patch 1.2 was missing or i was using the older Eidos patch and needed the newer Squaresoft one. I tried swapping it out but to no avail. When I go into FF8Config.exe there is no option to select 'custom driver'. The only option is 'Primary display driver'. The installation instructions I tried to follow here http://forums.qhimm.com/index.php?topic=14922.0 said to change the settings in the config file after dumping the files in the game directory. I assume the custom config file is ff8_opengl.cfg but it doesn't say what I need to change! This is the error message I get when i run FFVIII. I'm using original 2000 version by the way on a virtual drive (iso). Game runs vanilla without Aali driver at moment. Do you have the SquareSoft 1.2 patch? It would be best to patch it with that, even if you think it already is, just to be safe. Unless, off course, you've tried modding FF8 before. Also, is the iso pirated, or a backup of your disk(s)? If the former, we can't help. First time modding FFVIII yes. I'm trying to mod the game with Roses and Wine and it says in the instructions that Aali's driver is a prerequisite. 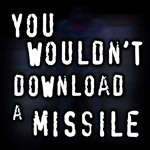 I've dumped all the files that were in the Aali download .zip V0.8.1b into my game directory but when I run the game I get an error message saying Aali's driver is not compatible with my version of FFVIII due to ... although If you’ve been looking at alternatives to steroids, then you’ll have likely stumbled across GNC and their huge range. https://legalsteroids.best/gnc/ for legal steroids at gnc it then lists about 10 possible reasons the only ones that made sense were either patch 1.2 was missing or i was using the older Eidos patch and needed the newer Squaresoft one. I tried swapping it out but to no avail.